I thought it would be appropriate to write a little Yankee Haiku to honor our Japanese slugger Hideki "Godzilla" Matsui who drove in six runs with a home run, a single and a double as he and the Yankees won their 27th World Series title tonight against the Phillies. "Matsu-eet" also won the World Series MVP. 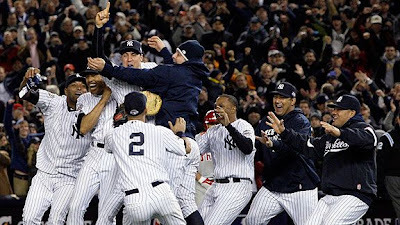 It's been awhile since the Yanks have won the championship, so it feels awesome as a fan to see them win it again, especially against the defending champs. The last line in the Haiku is dedicated to Pedro Martinez who started the game pitching for the Phillies and has a rough history against the Yankees. 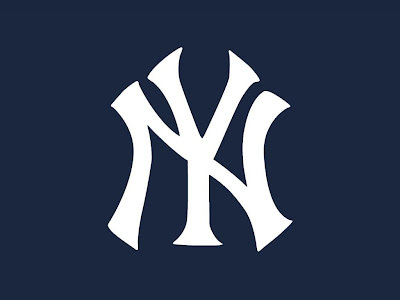 So hip-hip, Jorge, and much thanks to Pettitte, A.J., C.C., Joba, Cano, A-Rod, Teixeira, Damon, and of course Godzilla, Jeter, Mo and the rest of the Bronx Bombers for an awesome year. Ima sleep easy tonight. For the first time, I didn't "mute" the music when it came on! FUNNNNY!